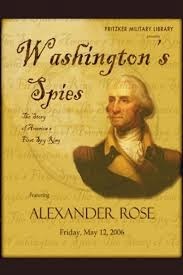 Washington's Spies: The Story of America's First Spy Ring by Alexander Rose concerns itself with American espionage activities during the American Revolution. This is a great history book that expands from its base subject to shed light on various related aspects of the Revolution. This work is the basis for the very good television series TURN. While Rose’s book touches upon much of the spy work that both sides engaged in during the war, its primary focus is a on a group that was known as The Culper Ring. This was a spy ring that was organized in Southern New York by American Officer Benjamin Tallmadge. During most of the war, New York City was the primary hub for British military operations. Rebel spies in the city passed information across Long Island through key ring member Abraham Woodhull. The information was then dispatched across the Long Island Sound to rebel-controlled Connecticut and eventually to George Washington himself. The activities and interactions of the members of the ring are related in fascinating detail. A great deal of this book is local history for me. A large percentage of the activity that is described in this work takes place on Long Island, NY, which is also my home. Much of the political, social and religious culture of Long Island at the time is surveyed. In addition, a locally famous raid that was led by Tallmadge is detailed in the book. In 1780, spurred by intelligence supplied by the ring, Tallmadge led a small force from Connecticut to Long Island across the Long Island Sound. He landed near a beach that I often frequent. His mounted troops rode across Long Island to attack a fort and a supply depot. The resulting destruction of British provisions and supplies was a detriment to British forces operating in New Your City. His route is marked locally and known as The Tallmadge Trail. I live on this trail. His small force proceeded down a road on which my house is now situated. One aspect that makes this a history book of distinction is that it expands beyond its primary subject to provide intriguing and important insights into multiple aspects of the American Revolution and early America. Diverse subjects such as the brutal nature of some areas and subcultures of New York City, the religious aspects and conflicts relating to both Rebels as well as Loyalists, etc. are explored. As someone who is interested the American Revolutionary War period, I found this book to be a feast of interesting concepts. As I am often known to do, I will focus a little upon just one of many points of this work. Rose argues that intelligence work in which both sides engaged was different from, and in many ways unique to, the American Revolution, as opposed to anything going on in Europe. Rose explains how such spy craft was not as important on the battlefields of the Old World. On European conflicts he writes. In America’s vast geographical spaces, however, armies (and guerrillas) could hide, live off the land, travel cross-country, appear out of nowhere, strike, and vanish. Possessing advance or intimate knowledge of what the enemy was doing, or was planning to do— the raison d’être of espionage— became of vital importance. As the business of intelligence was distinctive in America, Rose goes on to describe all sorts of innovations employed by the Culper Ring and other rebel spies, as well as by their British opponents, including invisible ink, complex and innovative codes, economic sabotage through the use of counterfeiting, etc. This is but one of the many interesting and enlightening areas explored in this work. This is a suburb book. It is well written and researched. It tells an interesting story. It expands into a host of relevant and diverse subjects. I highly recommend this for anyone interested in the American Revolutionary War era, the history of New York City and Long Island, or spy craft in general. When Delia from Postcards from Asia asked me to participate in her "Guest" series where bloggers answer questions that are posted on her blog I was honored. So today you can find me over at Delia’s site where one can find my answers to some bookish questions as well as some insights about me personally. While reading the post I urge everyone to explore Delia’s blog. It is full of insightful reviews on all sorts of interesting books. Delia’s writing is both lively and insightful. Thanks Delia for having me as your guest. 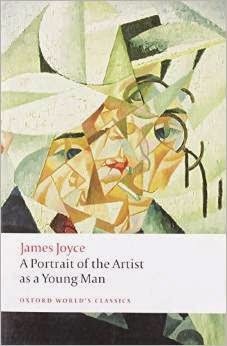 I just completed a reread of James Joyce’s Portrait of the Artist as a Young Man. This book is the epitome of a Bildungsroman. It is the story of the young Stephen Dedalus. This novel seems me to be a modernist archetype and, in my opinion, a great work. We get a glimpse into Stephen’s mind from his earliest childhood. 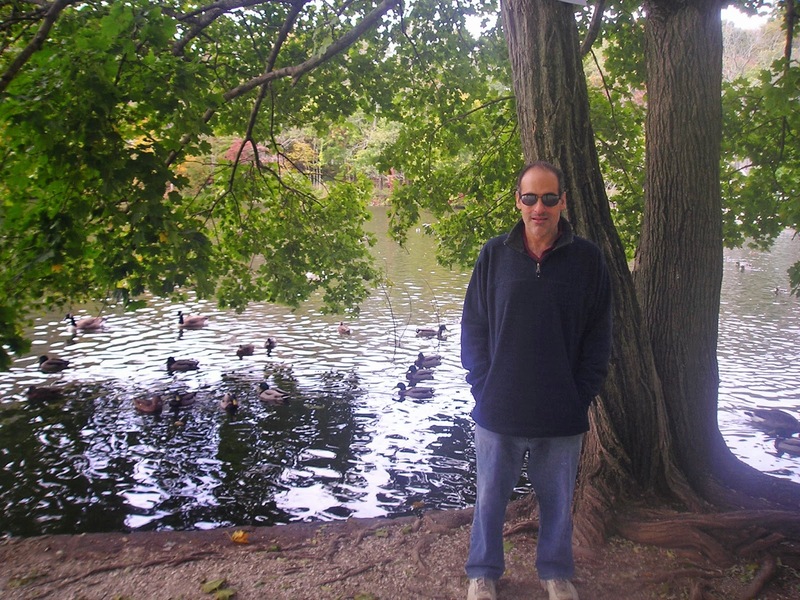 The novel follows him through his adolescence and on through his early adulthood. Stephen is a sensitive person, a thinker and something of a misfit. We see the protagonist’s mind develop from a very early age. As he moves through his teenage years, though surrounded by pious religious influences, Stephen begins to frequent prostitutes and is wracked with guilt and a fear of divine punishment. Though he eventually rediscovers his moral bearings, he later turns down an opportunity to join the priesthood and begins an intellectual estrangement from both religion and nationalism. We also see Stephan’s reaction to his early love as well as his contradictory and complex feelings for her. Stephen is a budding intellectual and poet. Included in the narrative are pages and pages of philosophical ruminations on aesthetics that include numerous references to various artists, writers, and philosophers. I found these ponderings to be interesting and worthwhile; however, such eccentricities will likely bore some readers. In my opinion, Joyce has successfully captured the inner and outer workings of a male adolescent’s mind here. I judge this success based partially upon experience and partially upon observation. The accolades that this work has earned are well deserved. There really is something special about Joyce’s portrayal of Stephen’s inner being. From the language used to portray the workings of his mind to the various stages of his youth to the way our protagonist reacts to the outside world, there is something very realistic as well as aesthetically pleasing here. There are actually many writing styles contained in this work, but much of the novel is told in a stream of consciousness style. Other parts, perhaps reflecting the way in which Stephen thinks at various times, are presented in more or less straight prose but with no apostrophes to indicate dialogue. The text ranges from the simple to the difficult and dense. This novel, from the writing to the plot structure, is very unconventional, and folks looking for a story told in the traditional style might find this disappointing. One can write volumes about this book. Instead of looking at general themes, I want to mention one of several extraordinary passages. At one point in the narrative, Steven is wracked with guilt and fear. He has been visiting prostitutes, yet he is terrified of the description of hell and the punishment that he believes awaits him as a result of his transgressions. This leads him to have a strange, phantasmagoric dream described below. A field of stiff weeds and thistles and tufted nettle-bunches. Thick among the tufts of rank stiff growth lay battered canisters and clots and coils of solid excrement. A faint marshlight struggling upwards from all the ordure through the bristling grey-green weeds. An evil smell, faint and foul as the light, curled upwards sluggishly out of the canisters and from the stale crusted dung. Creatures were in the field: one, three, six: creatures were moving in the field, hither and thither. Goatish creatures with human faces, hornybrowed, lightly bearded and grey as India-rubber. The malice of evil glittered in their hard eyes, as they moved hither and thither, trailing their long tails behind them. A rictus of cruel malignity lit up greyly their old bony faces. One was clasping about his ribs a torn flannel waistcoat, another complained monotonously as his beard stuck in the tufted weeds. Soft language issued from their spittleless lips as they swished in slow circles round and round the field, winding hither and thither through the weeds, dragging their long tails amid the rattling canisters. They moved in slow circles, circling closer and closer to enclose, to enclose, soft language issuing from their lips, their long swishing tails besmeared with stale shite, thrusting upwards their terrific faces... Help! He flung the blankets from him madly to free his face and neck. That was his hell. God had allowed him to see the hell reserved for his sins: stinking, bestial, malignant, a hell of lecherous goatish fiends. For him! For him! " I love the imagery contained in this passage. The goat-fiends seem to represent satanic forces circling Stephen’s soul. Unsurprising, there are six of them, as six is a number often associated with Satan and evil. The other obvious symbolic aspect to the goat image is that of sexuality and lust, which is the deadly sin that is plaguing Stephen. The weeds and sharp plants as well as the horrible odor all add to the menacing and pernicious atmosphere. I think that the reference to “soft language” might be important. Perhaps this is an allusion to the tempting, pleasant and alluring nature of sin. I must admit to a strange attraction to such horror filled passages. I tend to like the description of grotesque scenes and creatures, especially when portrayed so artistically, meaningfully and symbolically. The mood created by the words here seems perfect. I also find the writing in this passage to be very imaginative. Joyce has painted a brilliant picture of Stephen’s view on sin that is drawing him into “stinking, bestial, malignant” hell. Finally, I also find this passage particularly unusual in its unique depiction of hell. It actually contrasts with the more conventional fire and suffering version presented by a priest earlier in the narrative. This work is an all-time classic. I have not even scratched the surface above. The portrayal of Stephen’s mind and his young years is magnificent in so many ways. The dream described above is only a small sampling of that. By completing this book, I have finished all of the preparation that I had planned for my next project and I am now reading Ulysses.